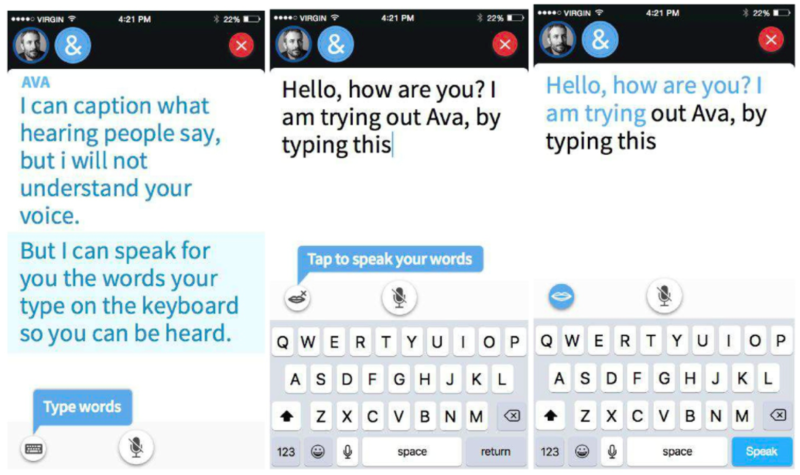 If hearing people often don't understand your voice, or you chose not to use it, Ava can speak the words you type so you can be heard. Type your answer on the keyboard. It will show as Instant Text, character by character. If you're in a Group Conversation, all Ava participants can see what you say with no delay! Complete your answer or just voice right away by pressing "Return" or "Enter"
Check that the volume of your phone is enabled and to the maximum to be heard. You type a lot with Ava? Want to speed up the typing pace? This is for you! A Bluetooth Keyboard enables you to type your messages faster, anywhere you go.